Many people think of Madison as just a winter wonderland. 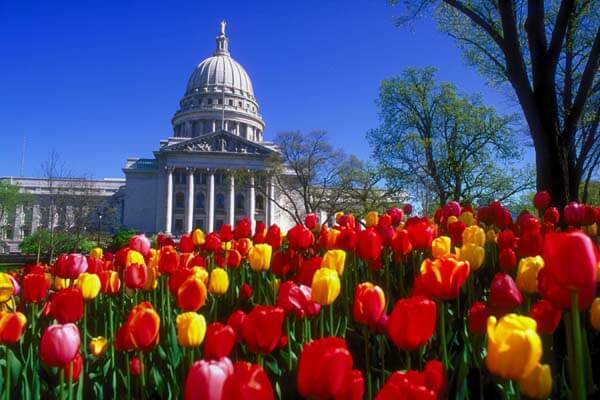 However, one of Madison’s greatest attributes is its beauty year-round. Students here have enough traditions to practice in every season and here’s an insider’s look at the best of them. Though Wisconsin football games are full of traditions, Jump Around is likely the most iconic. Whether you’re in the student section or not, you’ll feel the stadium shake as the song blares after the third quarter. UW officials attempted to put a stop to Jump Around in 2003 due to fear for the structural integrity of the stadium, but students launched a protest. Two days later, engineers confirmed that Camp Randall could handle it, and the tradition has lived on ever since. At UW-Madison, Halloween is the most celebrated holiday of the entire school year. Freakfest, Madison’s annual Halloween party, takes place on the Saturday of Halloween weekend each year on State Street and draws massive crowds. Freakfest was formerly known for being (literally) out of control, which caused the city government to take over the event in 2006. Arrests over the weekend have significantly declined since. Though the event is more toned down today than it was in the past, thousands of students still flock to State Street as a part of their Halloween tradition. Madison has one of the most beautiful farmers markets in the country. It takes place on the square surrounding the elegant capital building every Saturday from late April to early November. In addition to fresh, local produce for sale, there are plenty of crafts, street performers and premade snacks – most importantly, cheese curds. Wisconsin’s hockey team has been in somewhat of a slump the past few years, but the student section still gets rowdy. Like football, hockey fans at Wisconsin have their own traditions – and if you don’t participate, the band conductor will personally call you out. Never is the energy higher than at the border battle, so this is the game to see. Each winter, freshmen who live in the Southeast dorms battle those in Lakeshore in the legendary Bascom Hill snowball fight. There is an unspoken rivalry between Southeast and Lakeshore students and this is their chance to assert their superiority. 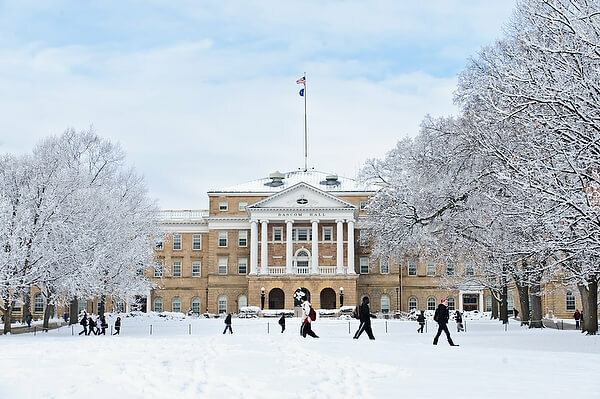 The turnout varies from year to year, but on the rare occasion of a snow day, students typically use that opportunity to flock to Bascom in large numbers. When classes were cancelled due to cold weather in 2011, police estimated around 1,000 people participated in the Battle for Bascom. With Final Four appearances from the Badgers two years running (and a championship last year), March Madness has been huge in Madison. One of the greatest things about this university is the sense of community among students, and UW sports definitely bring us together more than anything else. Storming State Street after a big win is an experience you definitely don’t want to miss. The Mifflin Street Block Party began in 1969 and has been one of the biggest annual parties in Madison since. Like Freakfest, the Madison Police Department has cracked down on security during Mifflin due to excessive violence and open container violations in recent years. Thus, attendance has plummeted dramatically since 2012. In an effort to compensate, the Wisconsin Union started a new tradition: Revelry Music Festival. The festival is young, but has featured big names including Dillon Francis, Waka Flocka Flame, Chance the Rapper and the Chainsmokers so far. Since its birth in 1885, the Wisconsin Varsity Band acquired plenty of traditions as well as prestige. Each spring, the band puts on a concert at the Kohl Center for three consecutive days. The concert is a recap of the band’s performances at major sporting events throughout the year and several athletes make appearances. The concert also contains fireworks and other theatrical elements, including Michael Leckrone, the band’s conductor (age 79!) flying through the air while doing flips. Fun fact: he’s never entered the concert the same way twice. Concerts on the Square are a staple of summer in Madison. 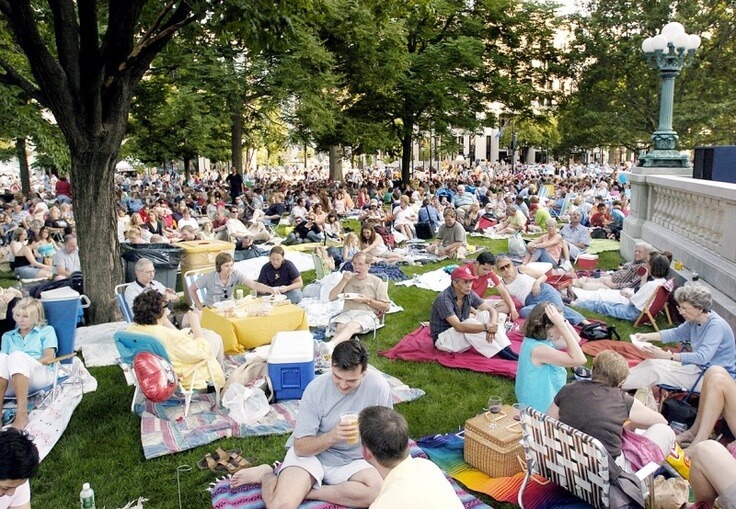 Most concert series consist of six concerts throughout June and July, put on by the Wisconsin Chamber Orchestra. Madisonians crowd the lawn of the Capitol on Wednesday nights and enjoy these musical productions free of charge, making the concerts just as pleasant on students’ wallets as they are to their ears. Known for the beautiful views of Lake Mendota, the wide selection of food and beer and the iconic Terrace chairs, the Terrace has become a favorite hangout spot during warmer months for students and locals alike. Throughout the summer, the Wisconsin Union Directorate (WUD) puts on a series of activities and events they call the “Terrace After Dark.” This includes movies on Monday nights, live music four nights a week and open mic night on Tuesdays. Students at UW have established plenty of awesome traditions for every season, even in summer when the student population dwindles. These traditions play a huge role in Badger school spirit and provide fun for students and people from all over Wisconsin to enjoy in Madison.